Grayish-white (in some localities it can be feebly speckled with purple) soft-necked garlic. Planted in the fall, it is an early garlic harvested around June 10th. 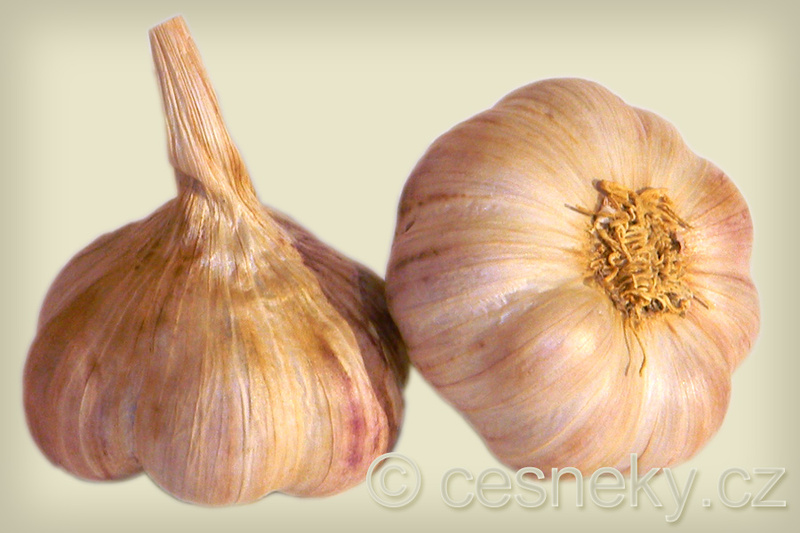 It is the most highly yielding variety of Czech garlic, for it creates 8-17 cloves of a sharp, pleasant, and refined taste. This variety has wide blades and an unorganized arrangement of cloves in the bulb. White hard-necked garlic with purple speckles. It is planted in the fall and harvested around July 25th. It has 6 large cloves and a very sharp and refined taste. This variety does not have interior cloves. The blades are wide, upright, and rather large. It is a highly yielding variety with a long shelf life. Distinctly purple speckled hard-necked garlic. It is planted in the fall and harvested around June 10th. Its cloves are organized irregularly, they are medium in size, and there can be 8-12 of them with a refined and sharp taste. It is quite impervious to many viruses. 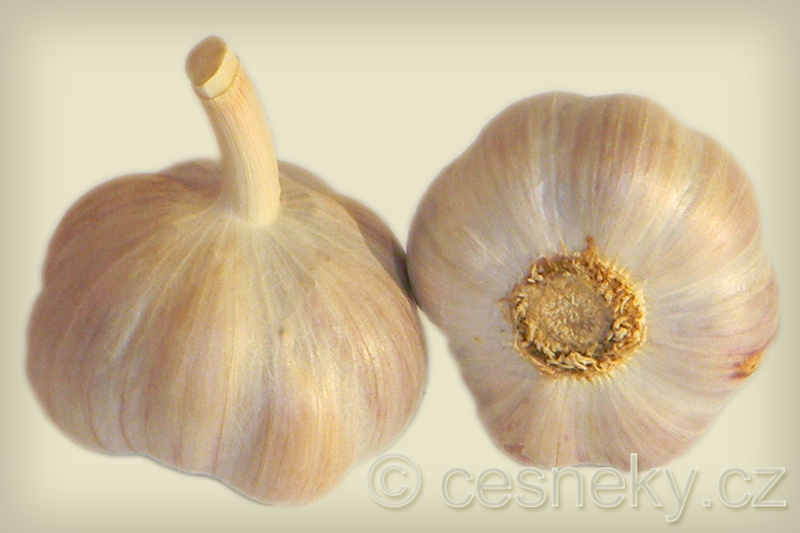 This variety of garlic has a long shelf life, for it reliably lasts until April. Grayish-white hard-necked garlic with subtle purple speckles. It is planted in the fall and harvested around July 25th. Its cloves have a disorderly organization and are medium in size. There can be 6-12 of them and they have a soft refined taste. The blades are dark green. The variety is average in yield. There are two big advantages to this variety. 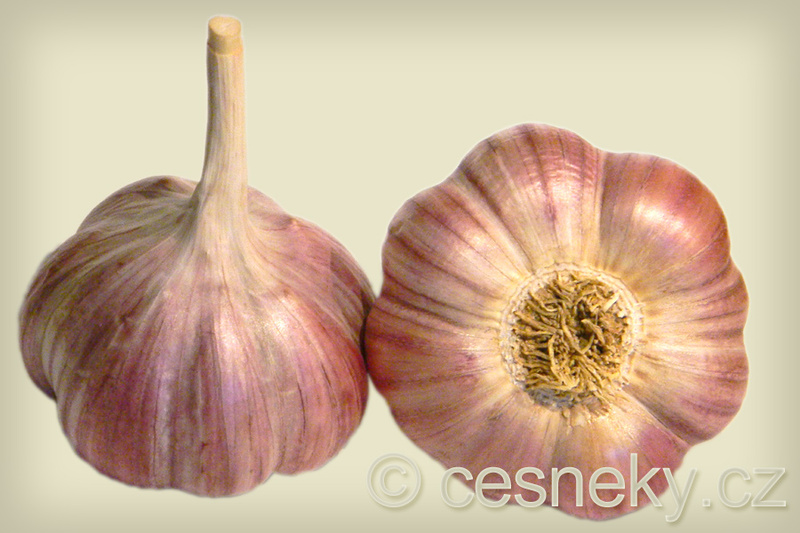 Firstly, due to its late germination, it is not attacked by certain garlic pests. Secondly, even people with gall-bladder disease can consume it (similarly to the Bjetin variety). Hard-necked, cream colored garlic with purple speckles. It is planted in the fall and harvested around July 15th. The arrangement of the cloves in the bulb is disorderly. There are about 9-15 cloves with a refined and pleasantly sharp taste. The blades* are dark green and wide. Anin has a long shelf life and it is a highly yielding variety. 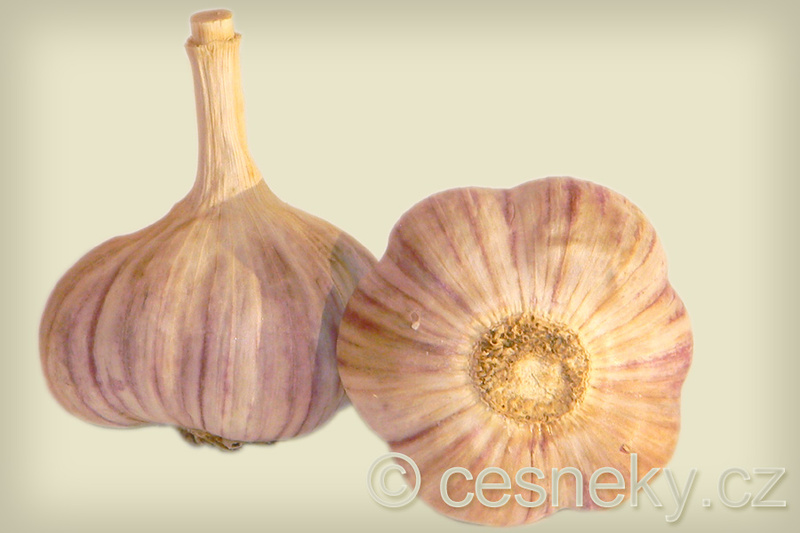 Grayish-white soft-necked garlic with distinct purple spots. It is planted in the fall and harvested at the beginning of July. 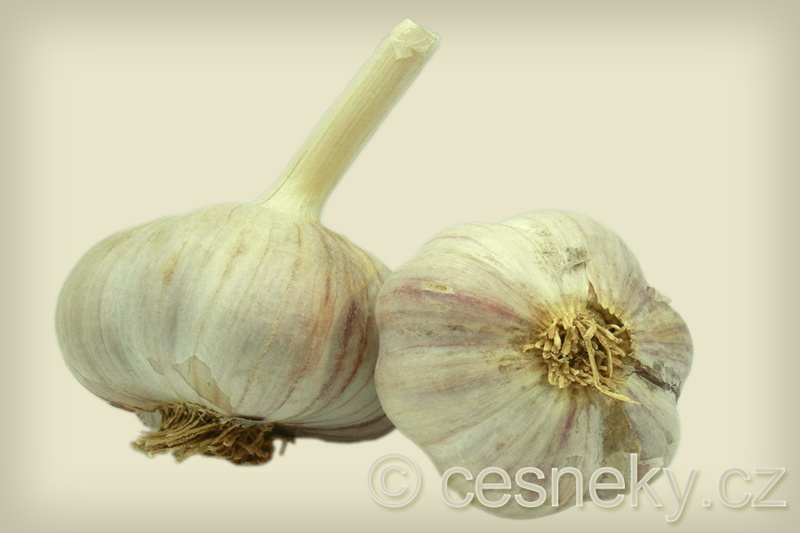 The bulbs are of medium size and contain 8-12 cloves with a pleasant sharp taste. On some occasions this variety creates short stalks with little bulbs (even though it is soft-necked). Sometimes the frequency of this happening can be even 50% in relation to the locality and the year. It is not a defect, however. The blades of this variety are wide, long, upright, and dark green. This variety has a genetically given high resilience against the most prominent agricultural viruses. Anton can be harvested while still green.